Witch city Consignment & Thrift is always looking to expand our employee family. We are currently looking for parttime help! Canidates must be very flexible with hours, weekends, and afternoons a must. Knowledge of thrift stores/antiques stores a plus. Bilingual is a plus too because it would be easier to communicate with our tourists that come and visit us! You must be able to lift furniture and move it around the store or help a customer bring it to their car. Someone who is willing to learn new things and keep themselves busy, trustworthy honest and energetic, teamplayer…we are willing to train the right person, but experience does help! Witch City Thrift will hire the right person on a temp basis because you truley don’t know anyone through a 10 min interview, if it works out, we will hire as a part time witch city consignment employee! which would be an honor for both of us! please come in and fill out the applications and write down your hours available too! Ask for Jenn!!! Witch City Consignment & thrift, old jerrys army and navy, 301 essex st, salem ma. next to the witch house and salem ymca has extended our hours. We are now open MOn-Fri 11-6 Sat 10-6 and Sun 11-5. 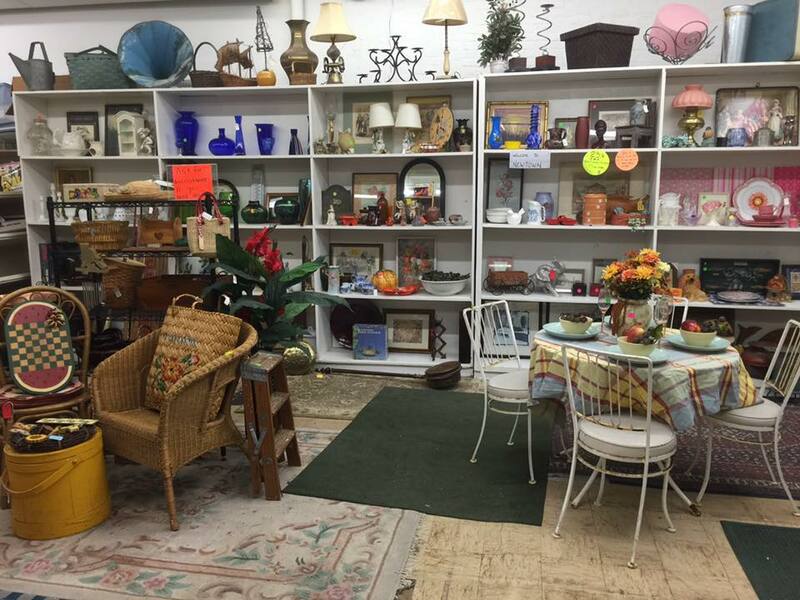 Witch City Thrift is not like any other consignment thrift store on the NOrth Shore. 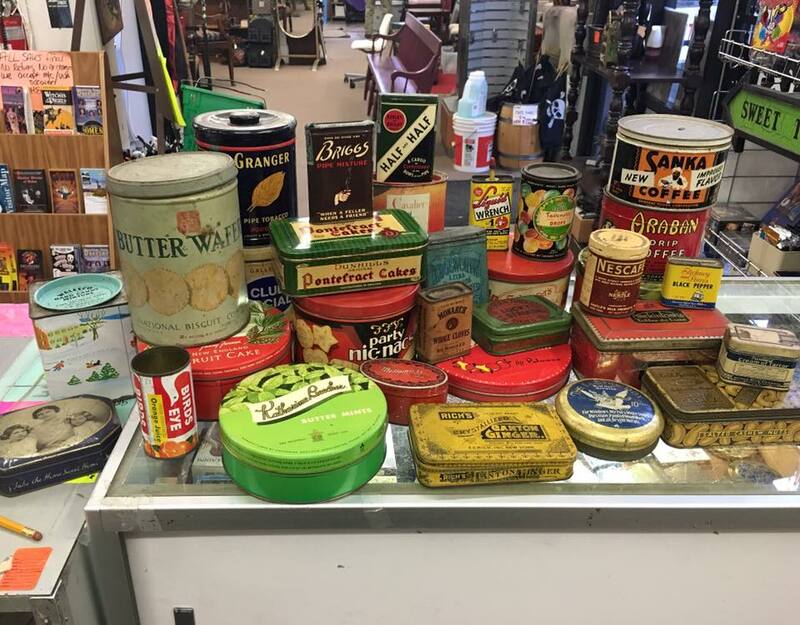 Witch City Consignment is a consignment store, thrift store, antiques store, a place that holds antiques auctions on the North Shore. 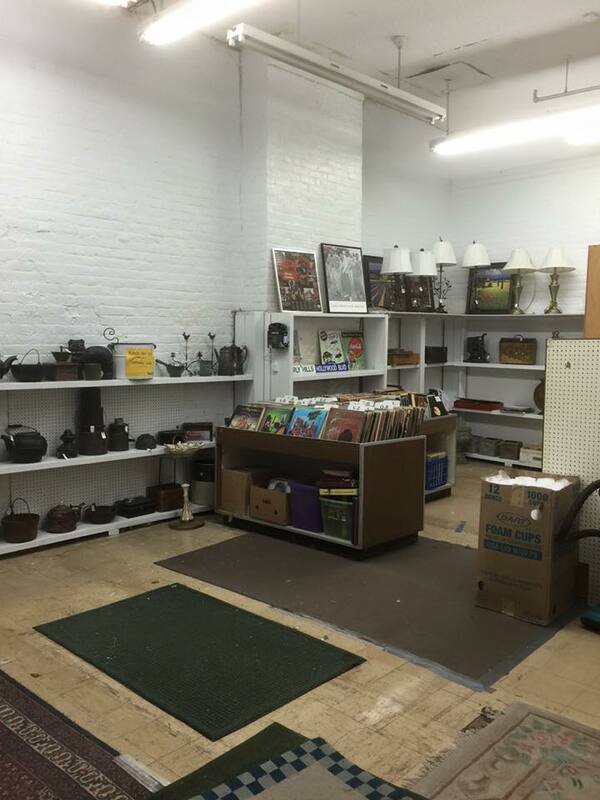 We offer North shore trash removal services(and other cities and towns too) FREE scrap removal , antique appraisals, Witch City Consignment works with the Northeast Animal Shelter and donates money every month with your help of donating items. I know I may repeat myself post to post, but I cant stress enough that we are a one stop shop for EVERYTHING. all the services that we offer and all the items we buy and sell north shore, is insane! Some say witch City consignment is expensive, well I think we are fair priced for any item that may arrive in our store. Some say Witch City consignment smells of old things when they walk in lol, yes but its an old building and we accumulate so much from many different places, y not? Thats y we sell insence …Joe Bayles , Aka Jerry, from witch City consignment will buy your items , sell your items at fair market prices..remember the saying…”you can always go down on a price , not up” so keep that in mind. IF we can help you call Jerry, 508-397-4897 , or call the store at either number 978-744-4433 or 978-744-1547. WITCH CITY CONSIGNMENT, NORTHSHOREUSEDFURNITURE, JOEBAYLESAUCTIONEERING, WITCHCITYTHRIFT,NORTHSHORETRASHREMOVAL, SELLUSEDFURNITUREBOSTON,SELLMEYOURITEMS.COM WE ARE ALL ONE COMPANY TRYING TO HELP SERVICE YOUR EVERYDAY NEEDS!!!! IF YOU TRAVEL TO THE NORTHSHORE DON’T FORGET TO STOP BY AND CHECK OUT OUR STORE, THE SALVATION ARMY IN SALEM IS NO LONGER THERE, WE GET ASKED THAT ALL THE TIME. Witch City Consignment and Thrift Store, 301 Essex street, salem, ma, (old jerrys army and navy) is the largest consignment store, thrift store, second hand store on the north shore, mass. 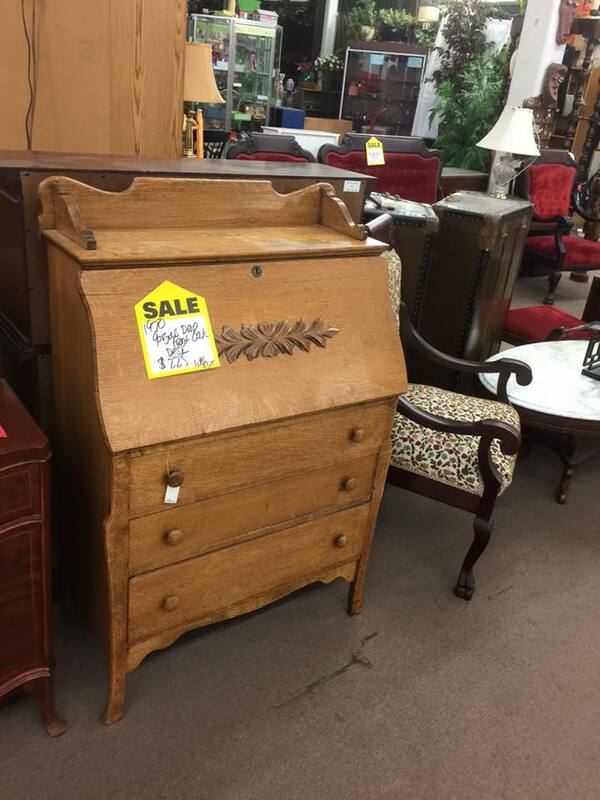 Every day witch city thrift (next to the Witch House) has color sales 25-50% off antiques, used furniture, glassware, paintings, etc. this month its 25% off pink stickered merchandise, and 50% off green stickered merchandise. But if you mention this post at any time, get 10 % off any other items that is not on sale! 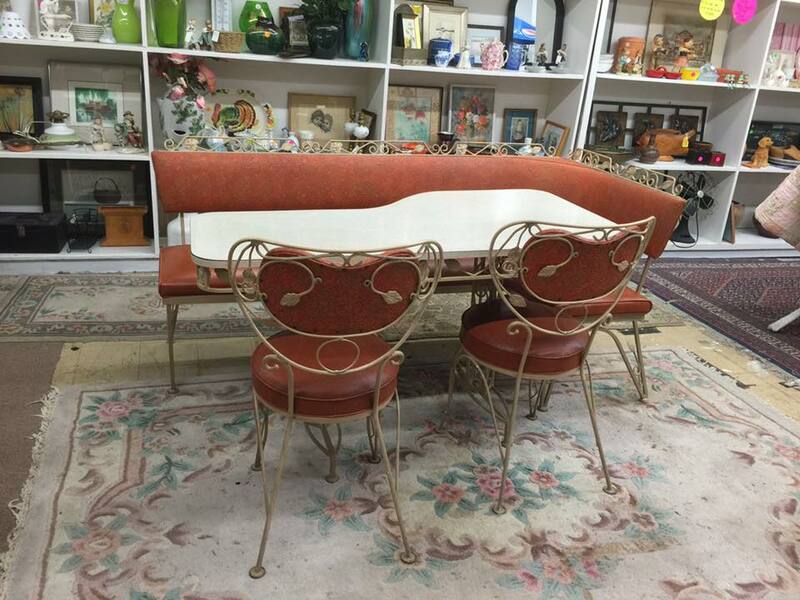 At Witch City Consignment & Thrift store, Mass, NOrthshore, we can buy your used furniture, buy your antiques, sell your used furniture, sell your antiques, and other treasures. 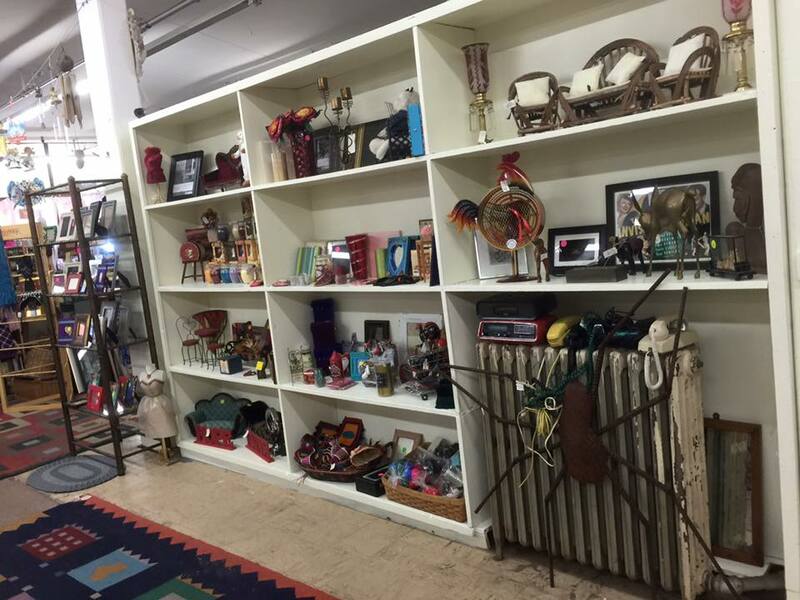 Read our other posts and see what witch city consignment has to offer . northshorehousecleanouts.com, baylesauctioneering.com, northshoreusedfurniture.com! Northshoreused furniture is our other name that has another website where we tell you about our trash removal services in the north shore or surrounding areas. Witch City Consignment & Thrift store, is not only a used furniture, used second hand store on the north shore, Witch City offers all different services! Don’t get overwhelmed with your cleanout, call Joe Bayles at either 508-397-4897, or 978-744-4433 . 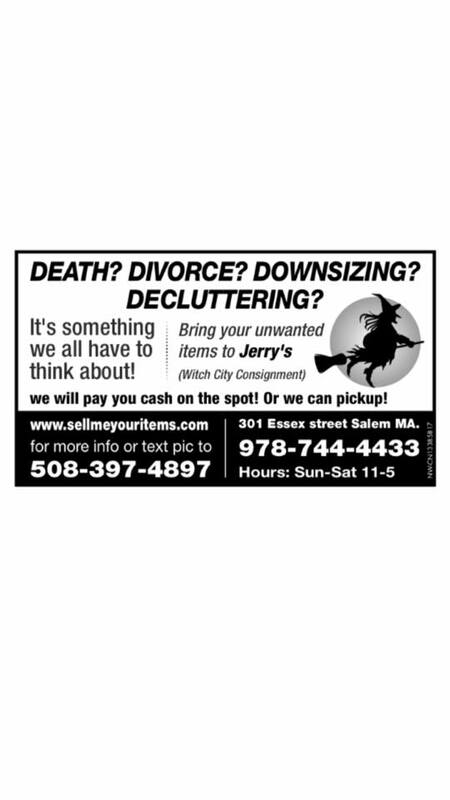 Witch City Consignment offers trash removal, junk removal, scrap removal, entire house cleanout services, on the north shore, merrimack valley area! Witch City Consignment, will come to your house , or if you are selling used furniture in boston or northshore, you can bring them to 301 Essex street, Salem, Ma (old jerrys army and navy)Also Joe Bayles Auctioneering , we have antique auctions right here at Witch City Consignment at least 4 times a year! *exercise equipment *basement *old lawnmowers *snow blowers *and so much more! 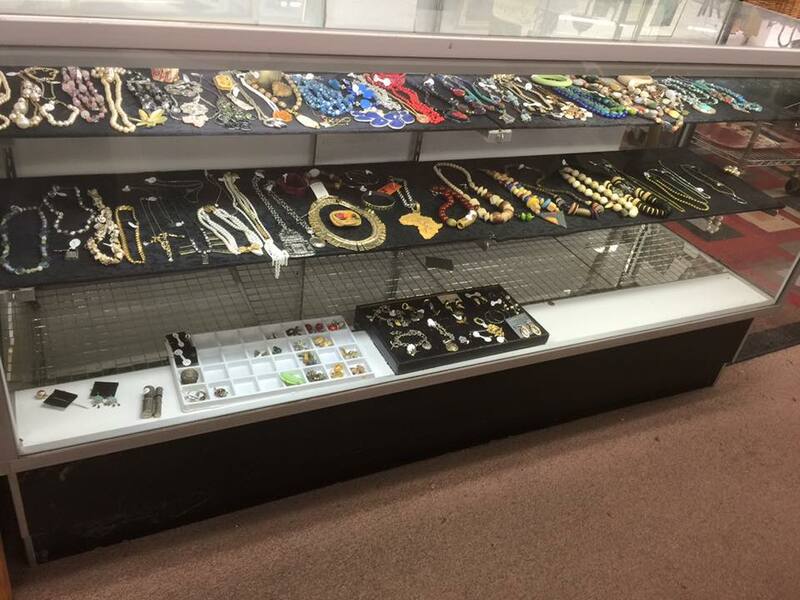 Witch City Consignment and Joe Bayles has alot to offer you! 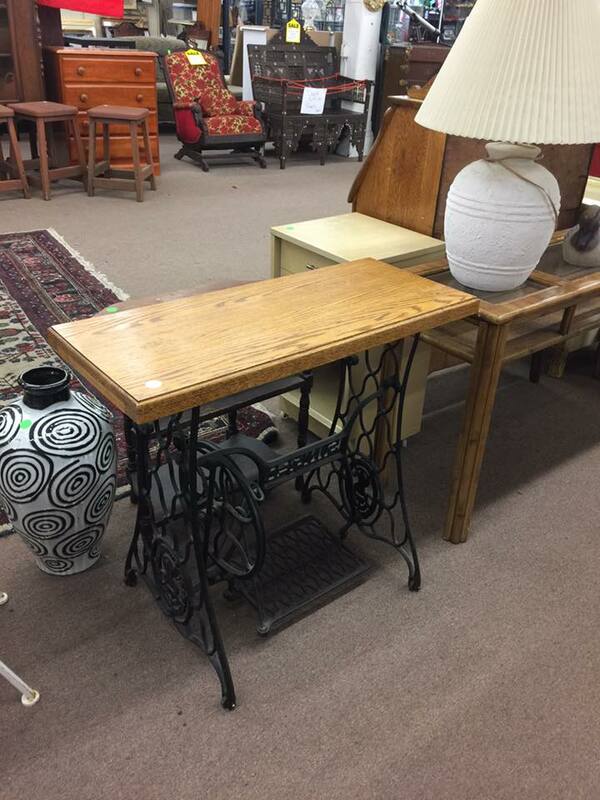 We buy and sell used furniture in the Northshore area, pay cash for gold, have antique auctions, sell used furniture, trash removal services, small moving jobs, and so much more! !..email us at sellusedfurnitureboston@yahoo.com or witchcitythrift@yahoo.com we get top dollar to sell used furniture north shore , next to witch house. located in jerrys building. Witch City Consignment gives to charity in your name! Call for More information. 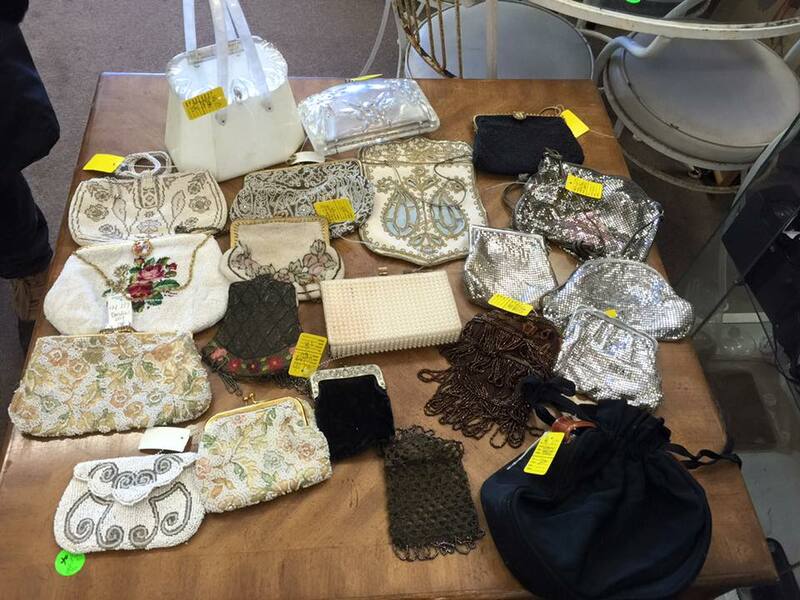 Witch City Consignment donates alot to charity. Last month we donated 284.00 to the Dana Farber with the help of local consignors who chose to give their portion of money to charity instead of taking it for themselves. We send the money to the charity and then give your name and they send you a thank you and a tax receipt. The Jimmy Fund doubled it last month. Give us a call at 978-744-4433 or email us at antique999l@msn.com if your interested in helping the Cancer Society or give us a call if you are a local charity we may be able to help. I just lost my grandmother Margaret Burton to cancer on August 7, 2010. May she rest in peace.